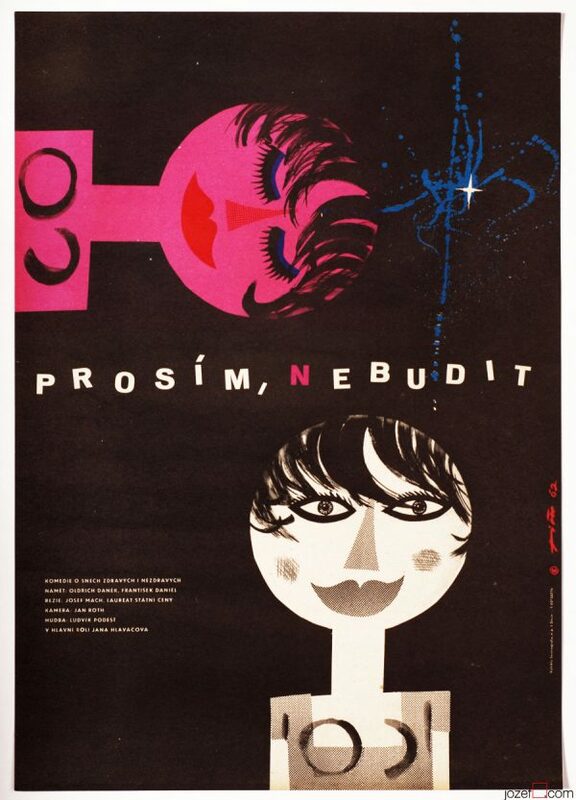 Movie poster for 60s romantic comedy with simple collage artwork by Czech award winning designer Jaroslav Fišer. 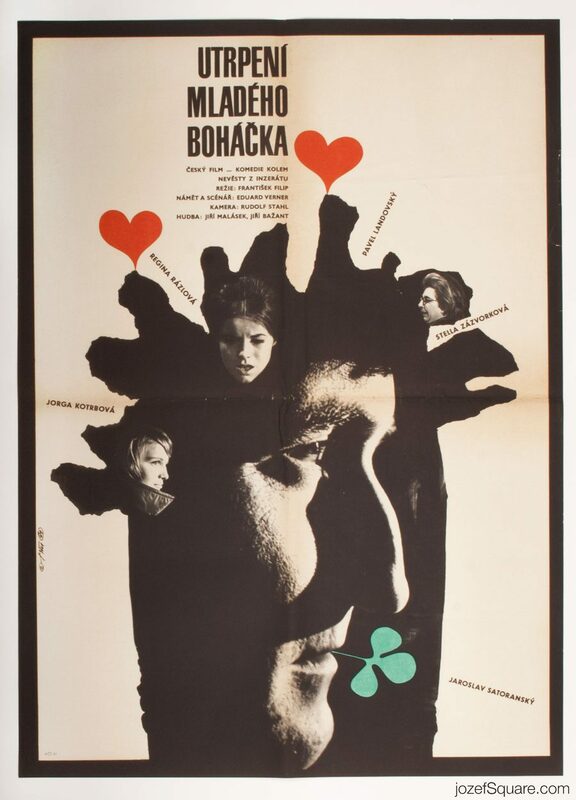 Romantic poster collage for 60s comedy. Poster is folded into eights. Creased and stained with fold lines and some paper damage visible across. 1cm crack on the right and top edge. Top edge with few other smaller ones. 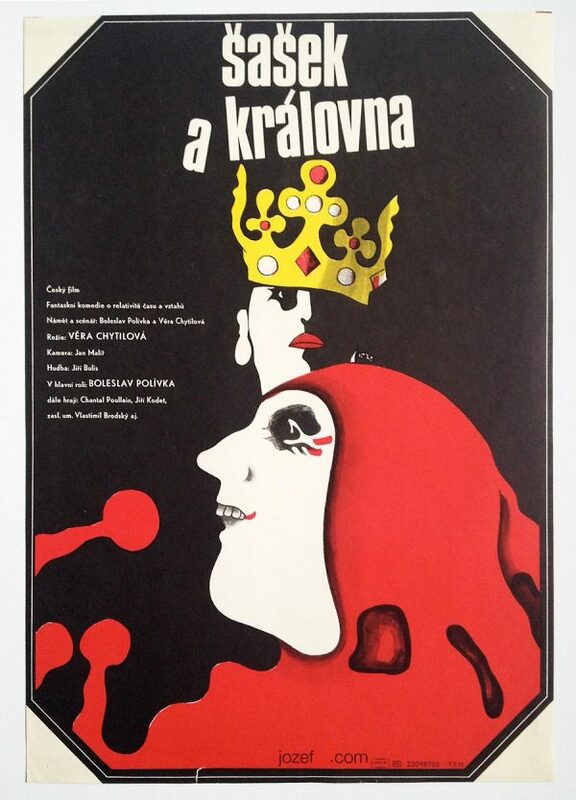 Movie poster is in large A1 format (80.2 x 57.6 cm). Very nice condition (NOT PHOTOGRAPHED, PLEASE ASK IF YOU WISH TO SEE A PHOTO). collage posters available in our archive. 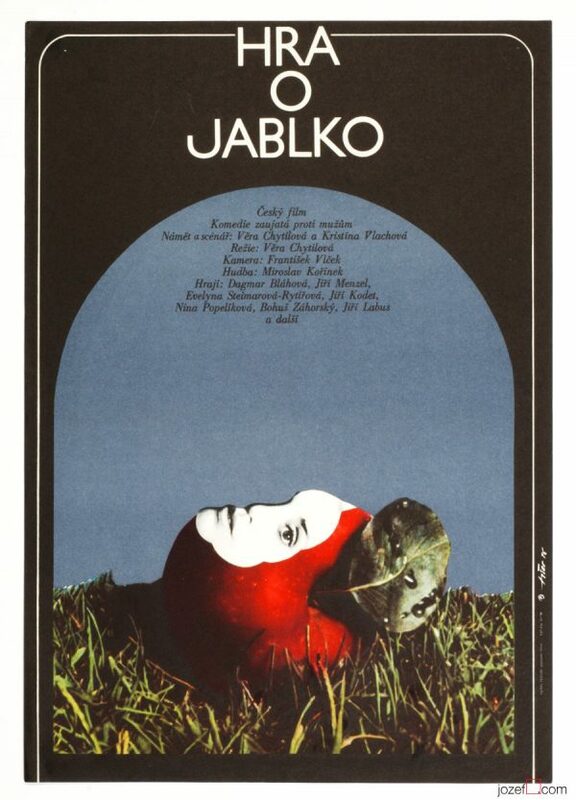 Be the first to review “Movie Poster – Young Boháček’s Sufferings, Jaroslav Fišer, 1969” Click here to cancel reply.